Botox (or botulinum toxin) is a purified toxin made from the botulinum bacteria. 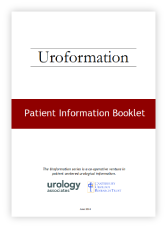 It is widely used to treat urological conditions which have not responded to standard therapies. Botox acts by binding to the nerve endings of muscles, blocking the release of the chemical that causes the muscle to contract. When injected into specific muscles, the muscle becomes paralysed or weakened but leaves surrounding muscles unaffected allowing for normal muscle function. Usually oral medications will have been trialled first and either not worked sufficiently or side effects have not been tolerable. Your urologist will recommend if Botox is right for you. This procedure is done in the rooms and takes approximately 10 minutes. No anaesthetic or sedation is required and you can drive home directly after your appointment. If you have questions about any of the topics, please don't hesitate to contact us. Keep updated with the latest news and industry trends and be the first informed about our GP seminars and events.